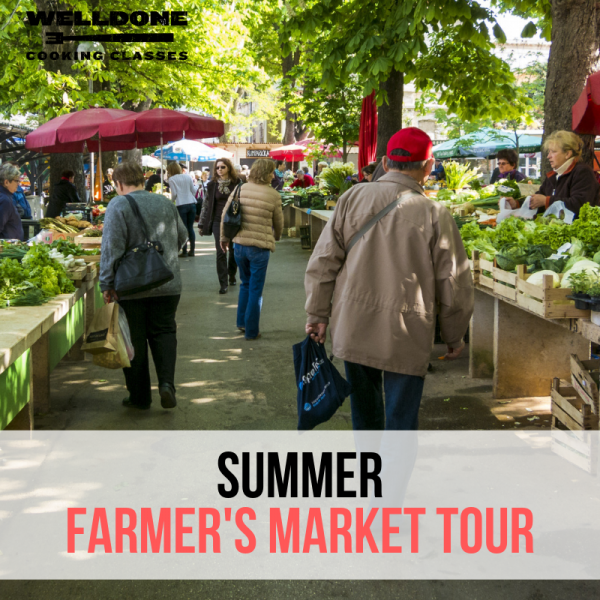 In this class we will take you on a guided tour to the farmers market across the street, Canino's which is the oldest farmer's market in Houston starting in the '50s. 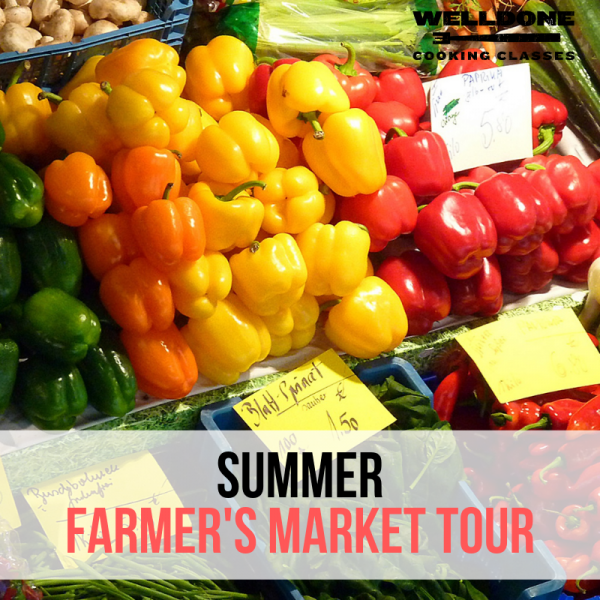 We will instruct you on what to buy, how to pick it, and when it is in season. We will focus on the produce and items that are at their peak for this time of year. We will also make a stop at the Houston Dairy Maids to pick out some great cheeses to go with our dishes. Are you interested in culinary school, but don't have the time or money? Have you been cooking for years and just want something new and exciting? Are you a novice interested in getting in the kitchen for the first time? Then the Fundamentals classes are the ones for you! These classes are for those who are serious about learning how to cook. We offer 20+ different courses to choose from throughout the year that can be taken in any order (except Knife Skills 2, which must be taken after Knife Skills 1). As always, we provide you with a relaxing and warm environment for learning and have the best instructors who are passionate about teaching. For those who complete the necessary 20 courses, we will give both a Certificate of Completion in the Culinary Arts as well as a chef jacket embroidered with your name on it. This certificate proves your completion and can be used to gain employment, should you choose to follow a career in food. We're so confident you'll learn more than in any other class offered by the competition that we guarantee it or your next class is on us! Cooking Techniques classes focus on specific cuts of meat or vegetables, teaching the most-used techniques of the classically trained chef. We focus on braising, stewing, poaching, steaming, sweating, frying, pan frying, sauteeing/browning, roasting, grilling, and broiling. Each class will focus on proper cooking and food temperatures. You will learn about how the animals are raised, best practices for sustainability, how to choose the right cuts, farming practices, butchering techniques, and more.